It seems that this Album is geared to delinquent youth, but everyone can enjoy and gain from the music, prose, and messages. In addition, B"H There's a new Trance album - Lihodia, which you can find in Ponpon's folder. 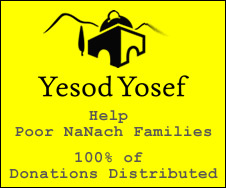 We also have more stuff which we are planning to upload B"H as soon as possible. Also remember there is a new album of PURIM music in the Ponpon folder, and there are also songs from Purimm who invite everyone to join them Sunday afternoon in some pub at Kikar Hadavidka - Yerushalayim.